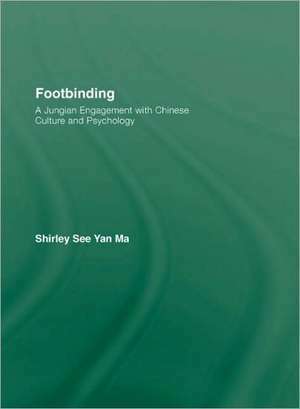 In this book Shirley See Yan Ma provides a Jungian perspective on the Chinese tradition of footbinding and considers how it can be used as a metaphor for the suffering of women and the repression of the feminine, as well as a symbol for hope, creativity and spiritual transformation. Drawing on personal history, popular myths, literature, and work with clients, Footbinding discusses how modern women still symbolically find their feet bound through this ancient practice. Detailed case studies from Western and Asian women demonstrate how Jungian analysis can loosen these psychological bindings allowing the client to reconnect with the feminine archetype, discover their own identity and take control of their own destiny. This original book will be of great interest to Jungian analysts looking for a new perspective. It will also be of interest to anyone studying Chinese culture and psychology. First Glimpse of the Golden Lotus. The Shang Empress-Fox and her Feet. The Confucian Way. A Pearl of Great Price. Xi Wang Mu: The Queen Mother of the West. Yexian: The Chinese Cinderella. Chiu Chin, the Beheaded Martyr. Julia Ching: A Journey from East to West and Back Again. Ruby and Her New Vision. Jade: Unbinding and Restoring Her Feet. Reflections on the Golden Lotus. "This remarkable book opens the door to a deeper appreciation of the struggles of Chinese women to be themselves, disclosing how the tools of their own emancipation have long lain in their own hands yet have often been misused to bind women to the expectations of others. The author shows that Chinese history and philosophy were never as firmly patriarchal as the West imagines, and she reveals that the strength of Chinese mythology, so often underestimated, lies in its images of the feminine as an agency that can survive and endure. How so destructive and limiting a practice as the binding of the feet of girls in order to realize an arbitrary aesthetic ideal for women took hold in Chinese society and survived for so long is the burden borne by the scrupulously honest author of this book, Jungian analyst Shirley Ma. Ma gives a sensitive, thorough, and fair account of footbinding’s history, but where her book really comes into its own is in its moving presentation of the work of Chinese women in analysis trying to discover how to let themselves be. In the midst of their efforts to set themselves loose psychologically from the double binds of their culture, Ma’s patients encounter the paradox that cultural complexes can both shield us from the difficult work of learning to be ourselves and at the same time hold the energy that is needed to move beyond the ways we have restricted our development to social goals that are too narrow. Skillful in her use of Jungian concepts, this compassionate therapist has given us a book about the therapeutic journey that is a healing experience to read." - John Beebe, past president of the C. G. Jung Institute of San Francisco, author of Integrity in Depth. "Shirley Ma's Footbinding is one of those rare books that take you on a journey that is both mysteriously riveting and deeply moving. Her own story is fascinating enough, but tied to it are the vivid tales of courageous but often wounded women for whom both the metaphor and the actuality of footbinding stands as historical testimony to the endurance of the human spirit. The Jungian wellspring of reverence for the seemingly inchoate longings in all of us is beautifully delineated here." - John Fraser, author of The Chinese: Portrait of a People and Stolen China. "A timely book, providing penetrating insights for women wrestling with the questions if they are bound for life or if they will be able to move beyond. This valuable Jungian contribution on feminine identity and creative transformation is particularly illuminating as Shirley Ma bridges East and West, culture and psychology, the personal and the collective." - Ursula Wirtz, Ph.D., Jungian Analyst, Zürich, Author of Seelenmord (Soulmurder). "This remarkable book explores the psychological basis for the practice of footbinding in traditional China, and shows how contemporary women are still confined by this archetypal pattern. Dr. Ma's analysis, both historical and clinical, is original and a fascinating read. She offers detailed case histories of women who have the courage to bring their psychic binding to consciousness, thereby finding their authentic standpoint and experiencing spiritual transformation." - Lucinda Sykes, Meditation for Health, Canada. Shirley See Yan Ma is a Jungian analyst in private practice in Hong Kong and Toronto, Canada. She teaches Analytical Psychology in various cities in Asia, North America and in Zurich, Switzerland. She is an Honorary Assistant Professor of Psychology at the University of Hong Kong and founder/director of Jung Centre Hong Kong.